have to overcome a problem with a weir and then squeeze beneath a low bridge. There are two locks on the Camlin Loop one on the river Shannon as well as a second one on the short stretch on the Royal Canal. 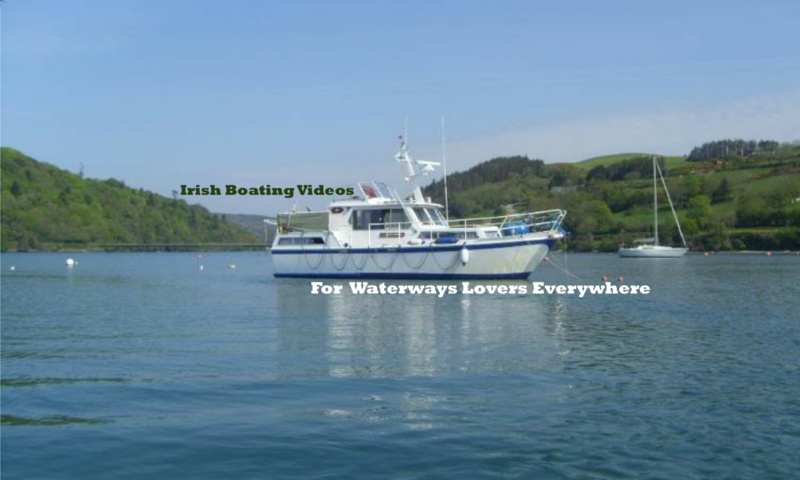 This circular route is popular with canoeists as well as with shannon cruisers. If you have traveled the Royal canal from Dublin the Camlin River is the perfect ending to that great voyage. The Camlin river is very narrow and it also has plenty tight bends to keep you on your toes. Our boat “Driftwood” has a draft of 1.3Mtrs, that means it needs at least that depth in order to float. However the 1.3Mtrs really only refers to the keel and the propellers are well up and actually very well protected. But depth wasn’t a worry this time because there has been plenty rain recently and the Camlin river has no shortage of water. A fact that was made plain when we tried to pass beneath the bridge! Next PostNext Episode #15 We have to anchor the boat to make a repair!